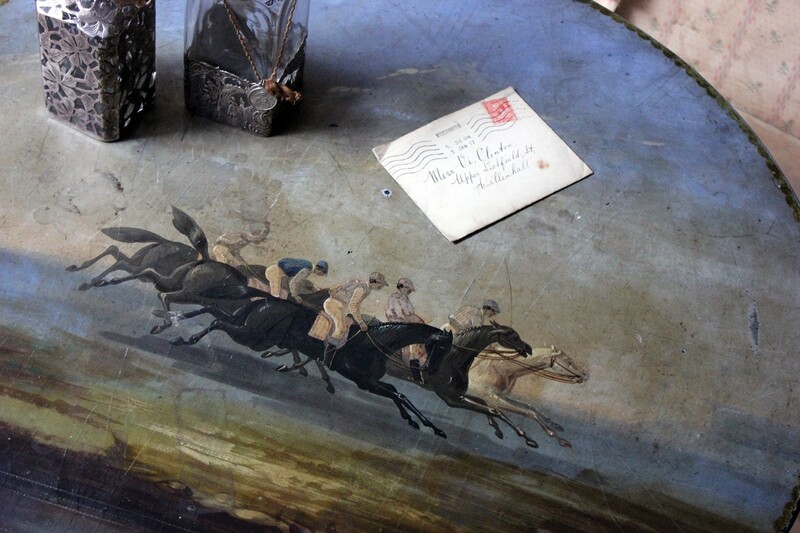 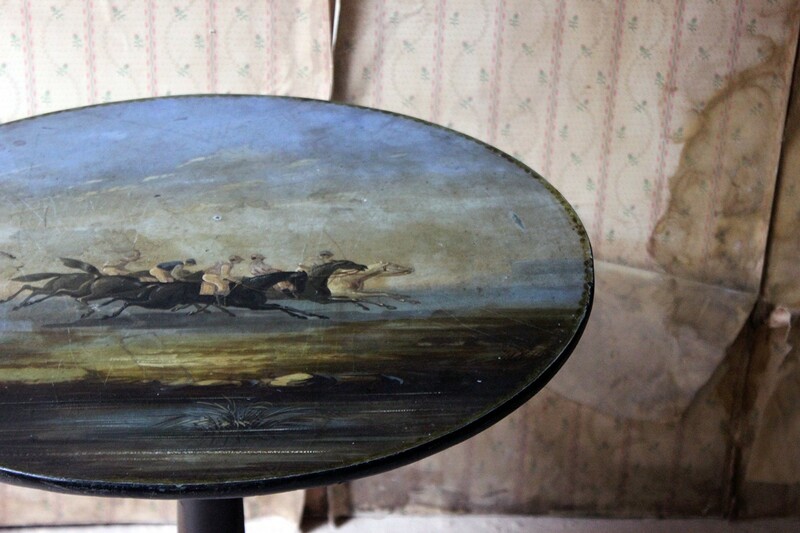 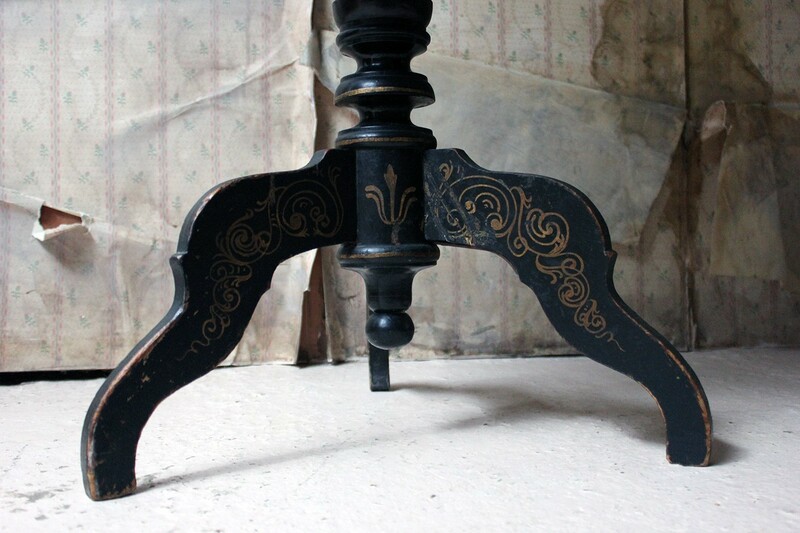 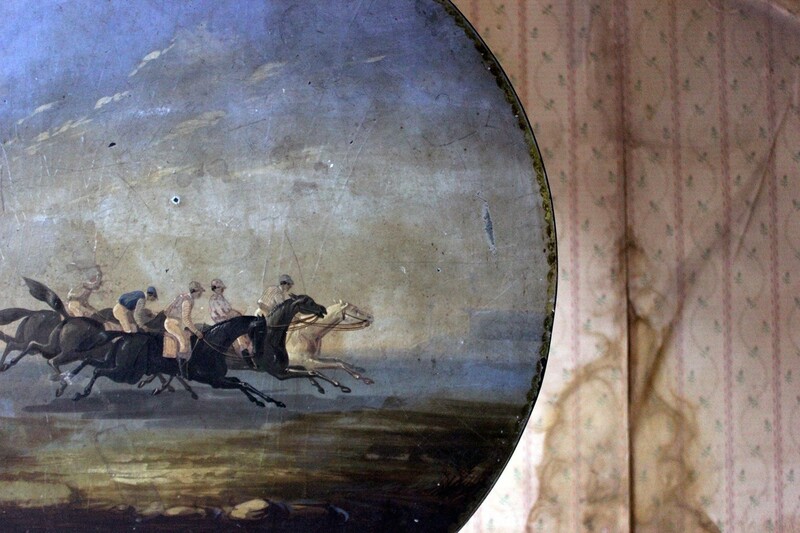 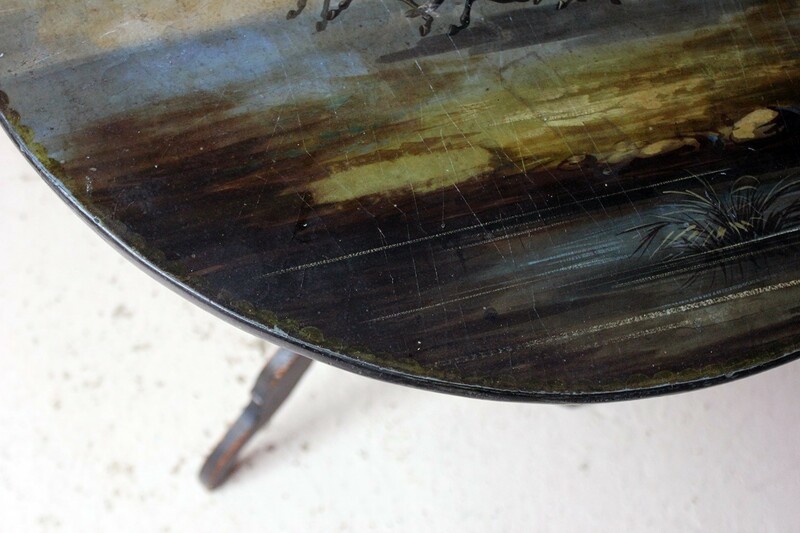 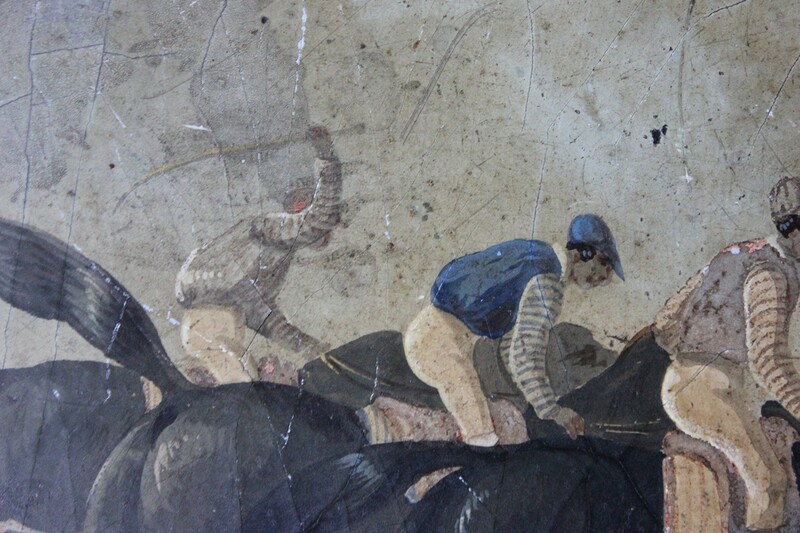 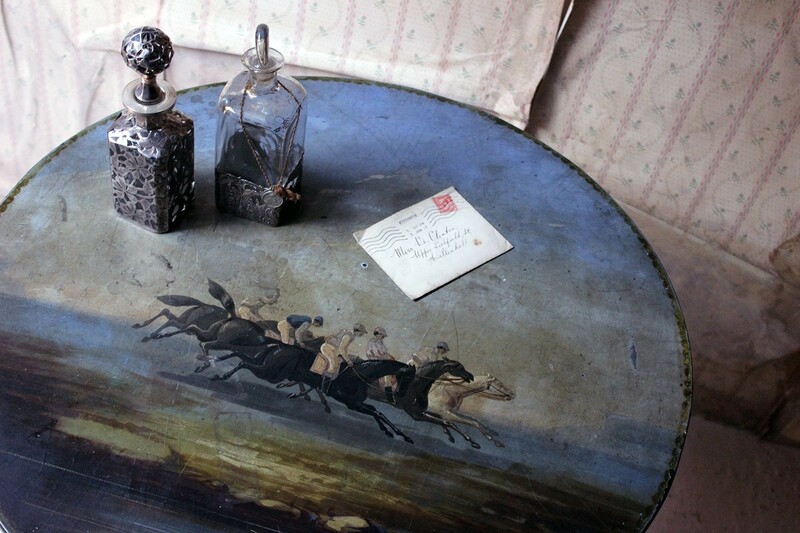 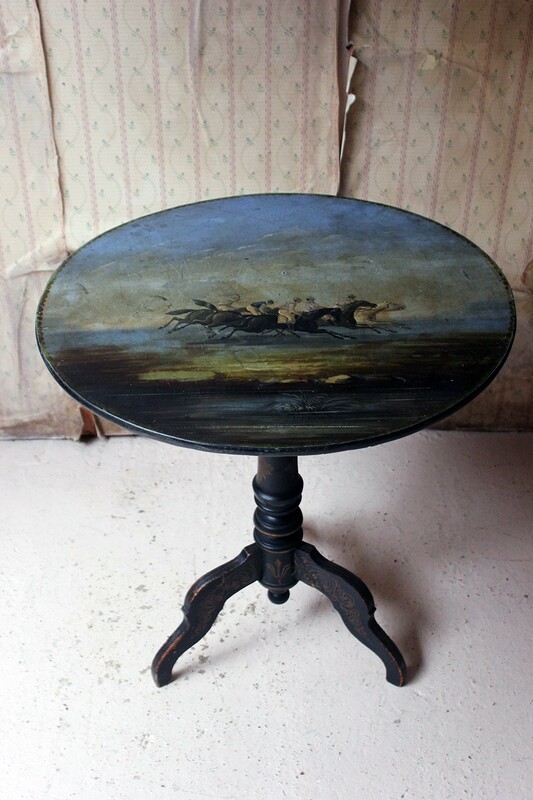 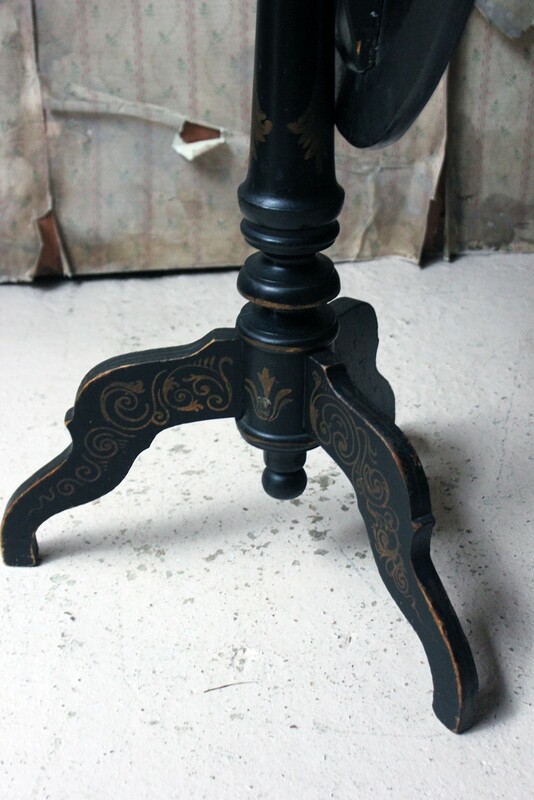 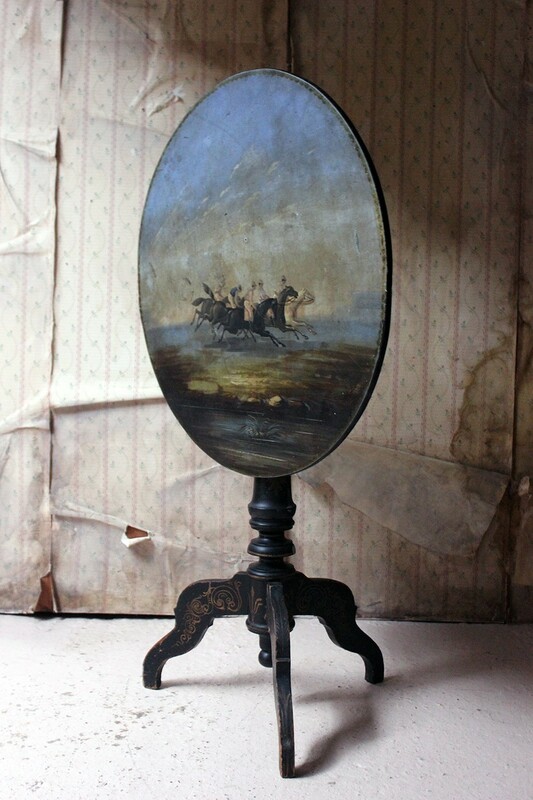 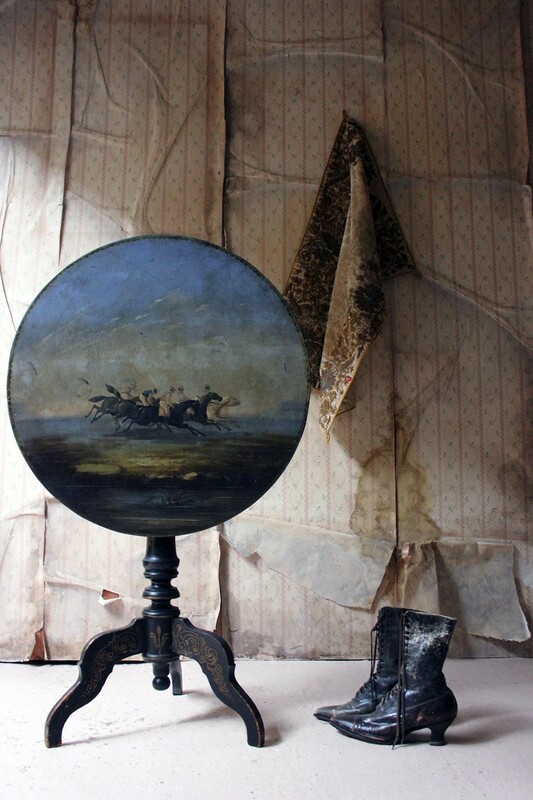 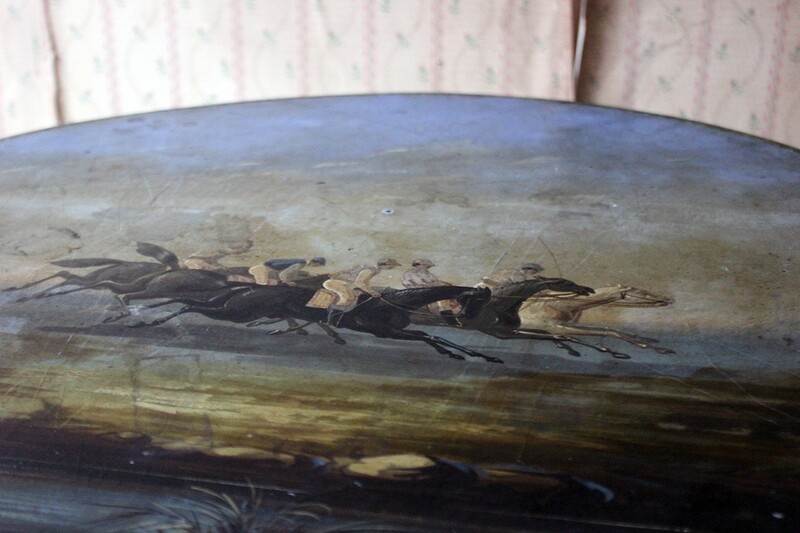 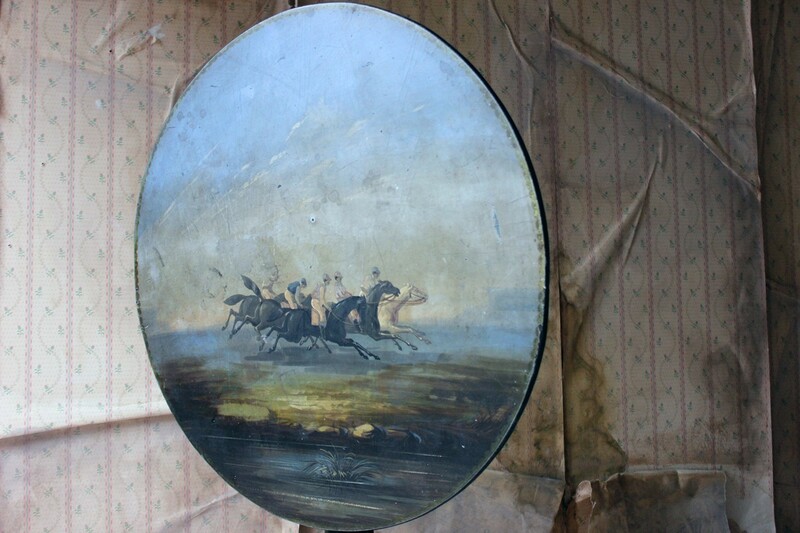 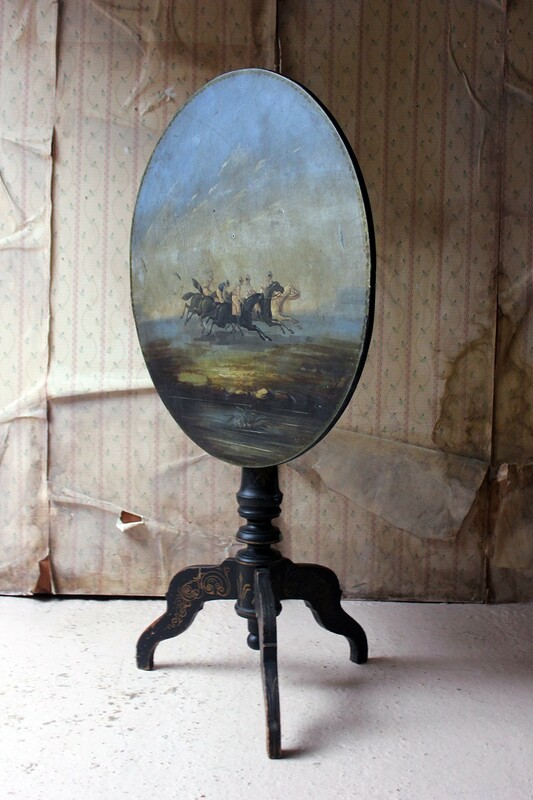 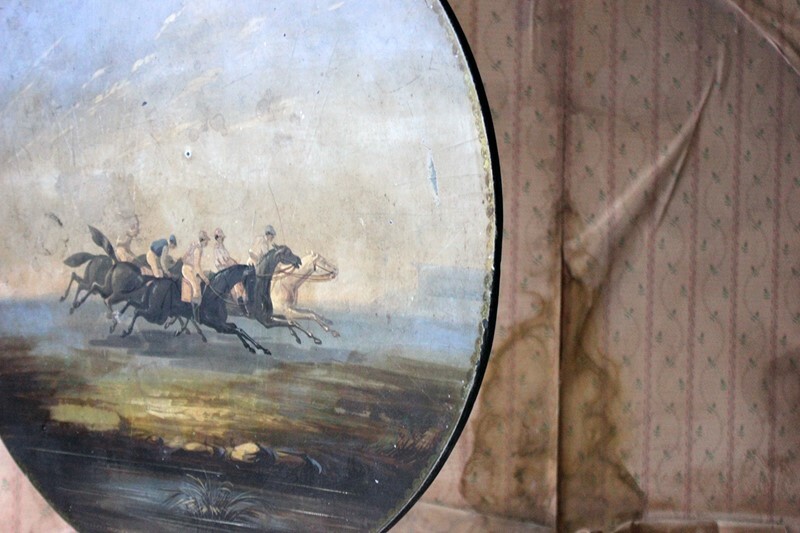 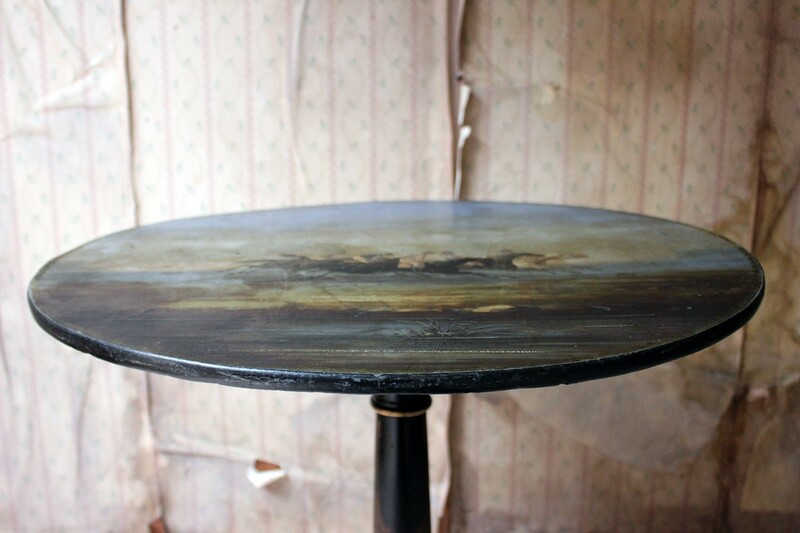 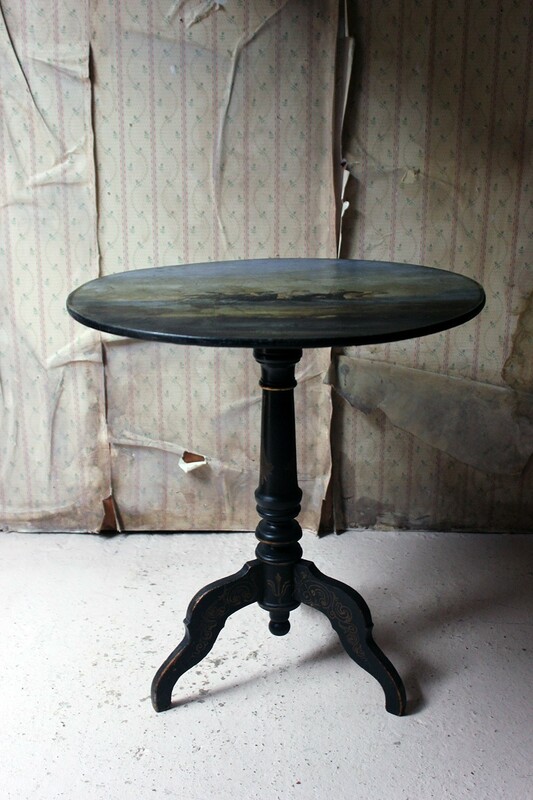 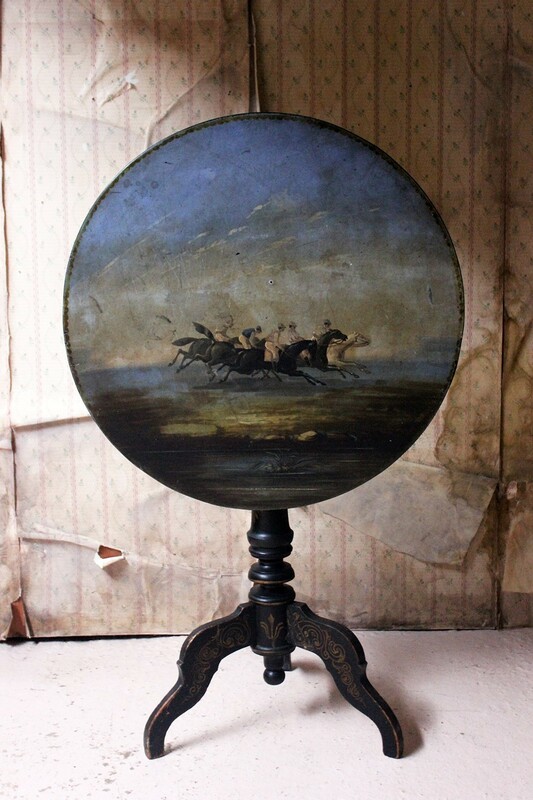 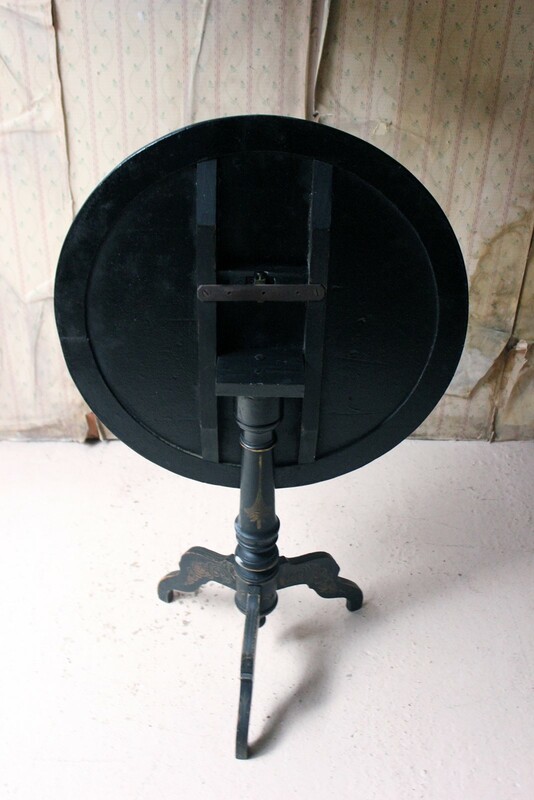 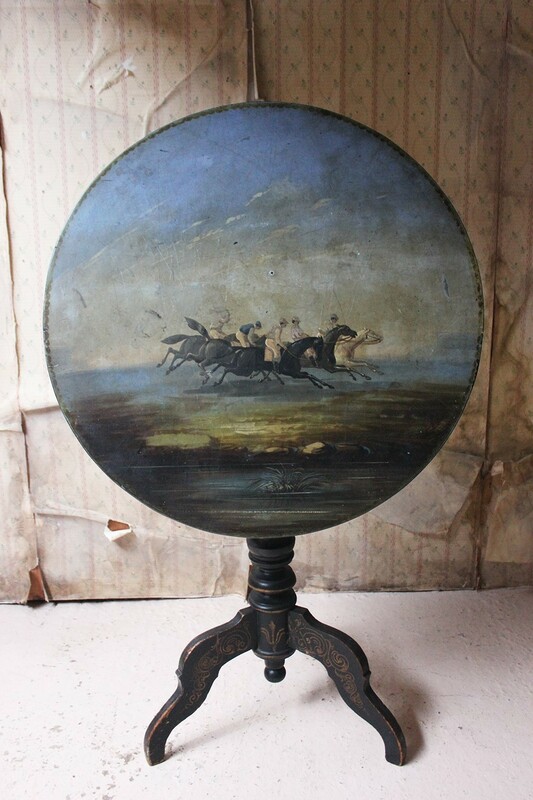 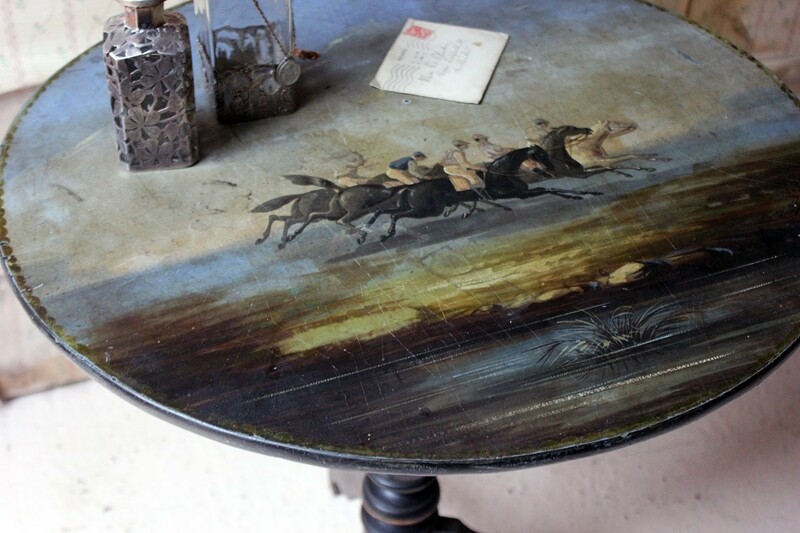 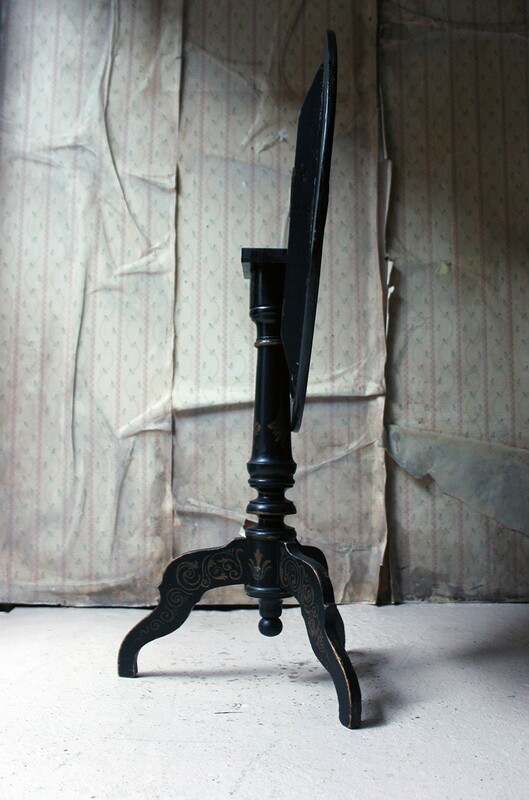 The rare and unusual French ebonised and hand decorated tilt-top tripod table, the top painted with a horse racing scene showing five galloping horses ridden by jockeys in their silks, amongst an atmospheric powder blue cloudy sky to marshland, to a pattered rim, the turned ebonised base with gilt highlights and shaped legs, surviving from the second half of nineteenth century France. 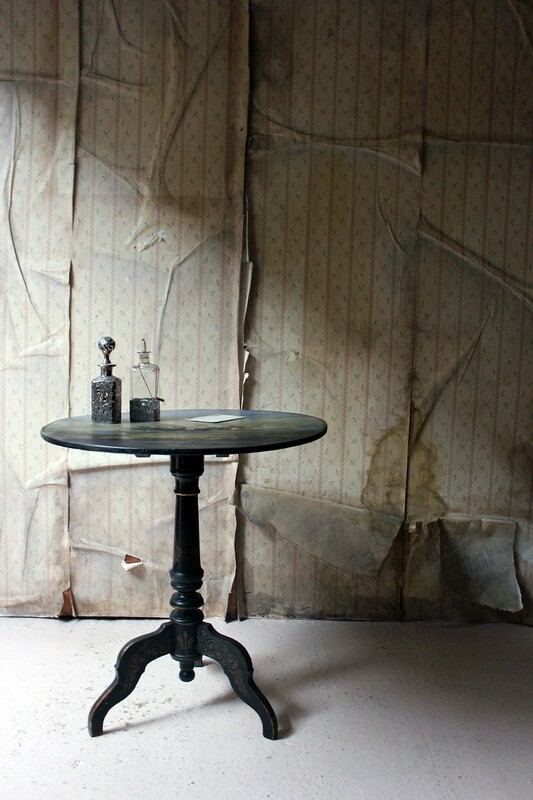 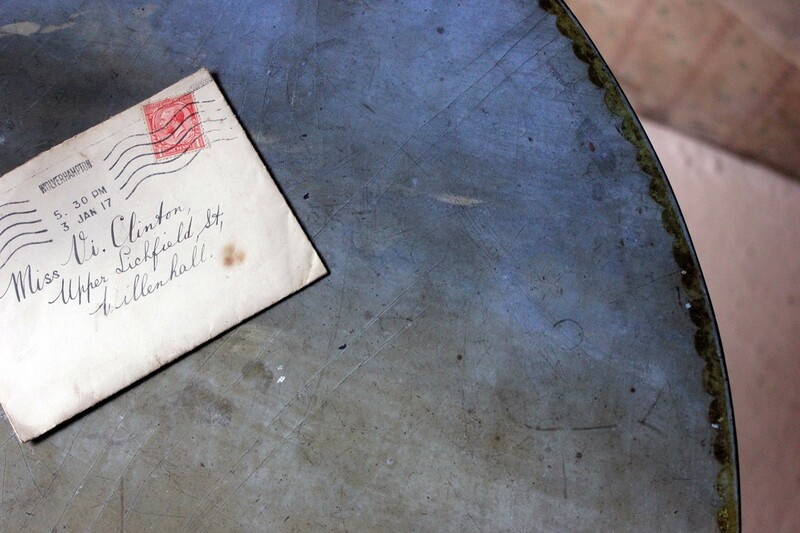 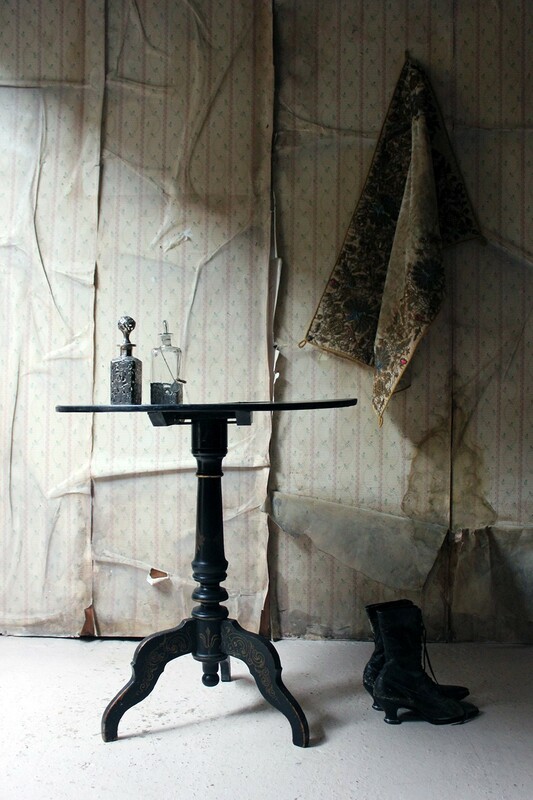 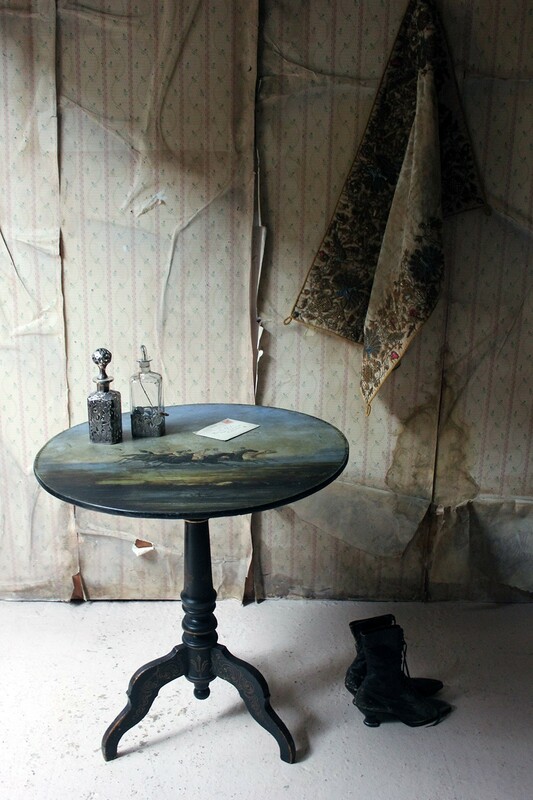 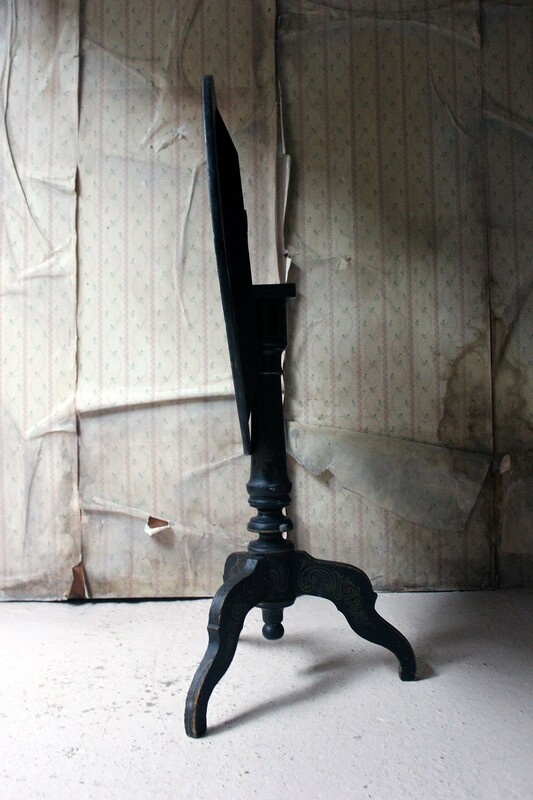 The condition of the table is lived in but thoroughly evocative and she remains structurally sound. 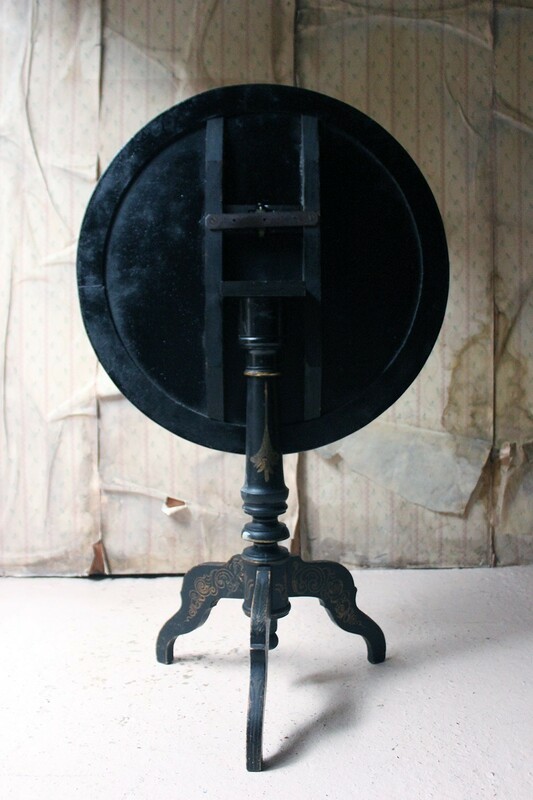 There is a more recent block support in place of the original where the original locking catch remains, the block having been matched in black. 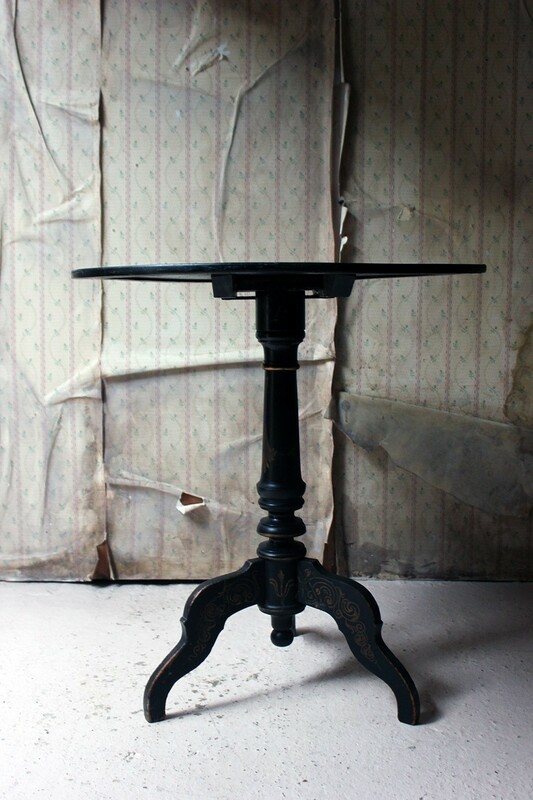 As always with this type of table, when in the lowered position the top does have some wobble to it. 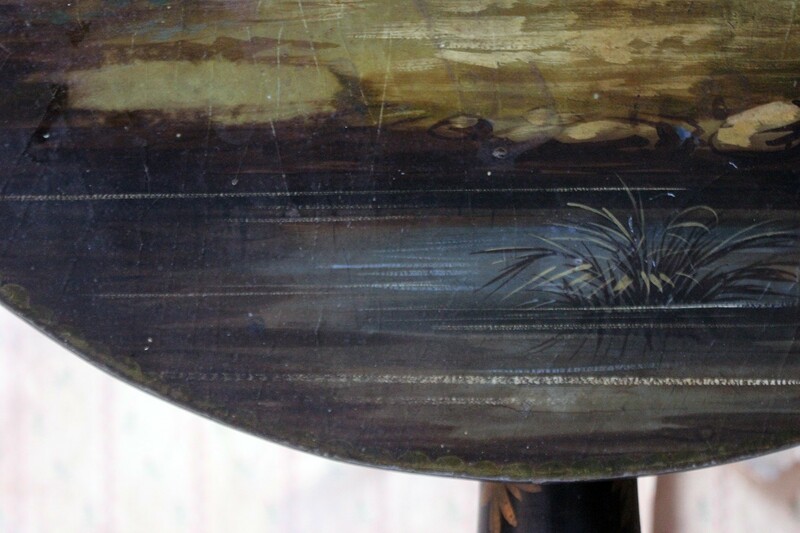 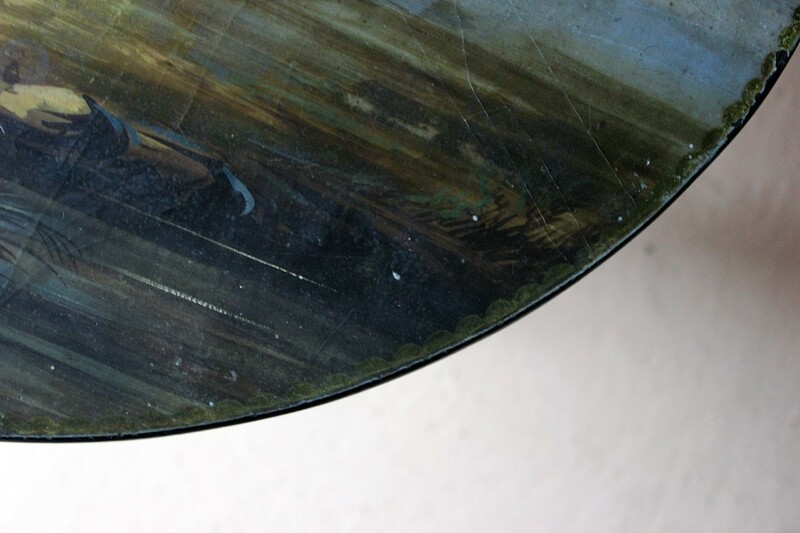 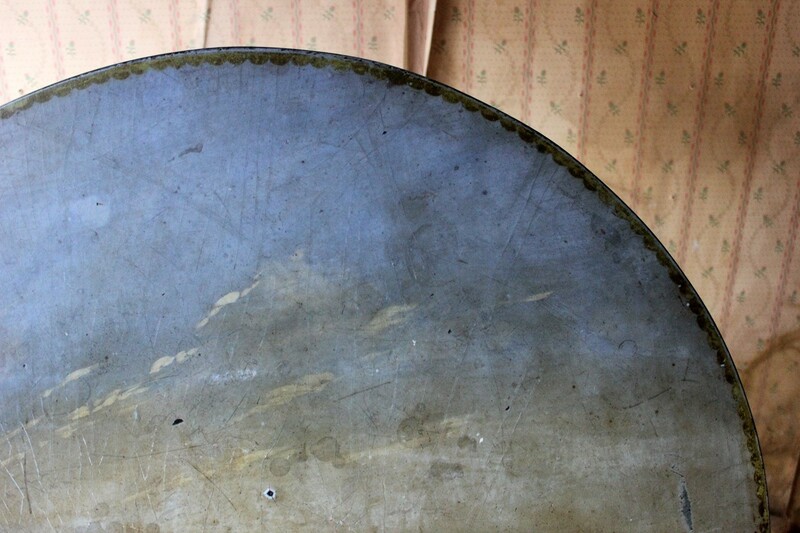 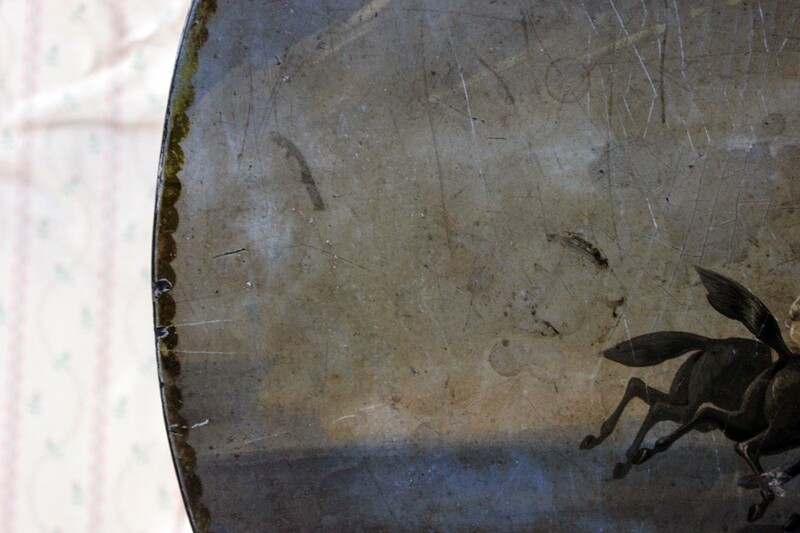 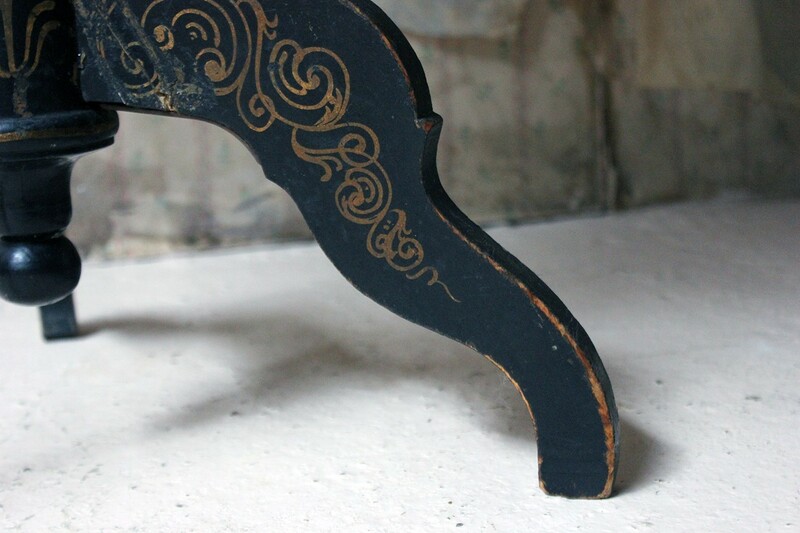 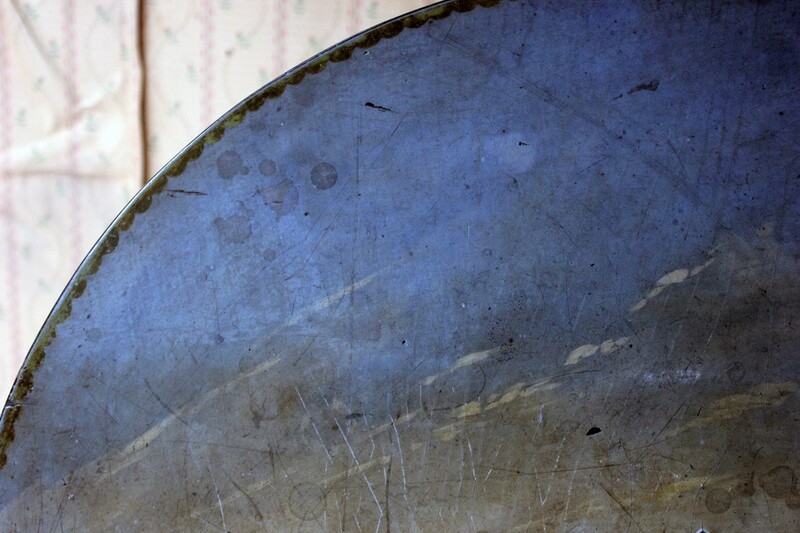 There are surface marks to the painted top with a lovely patination, and some knocks and tarnishes to the legs as photographed. 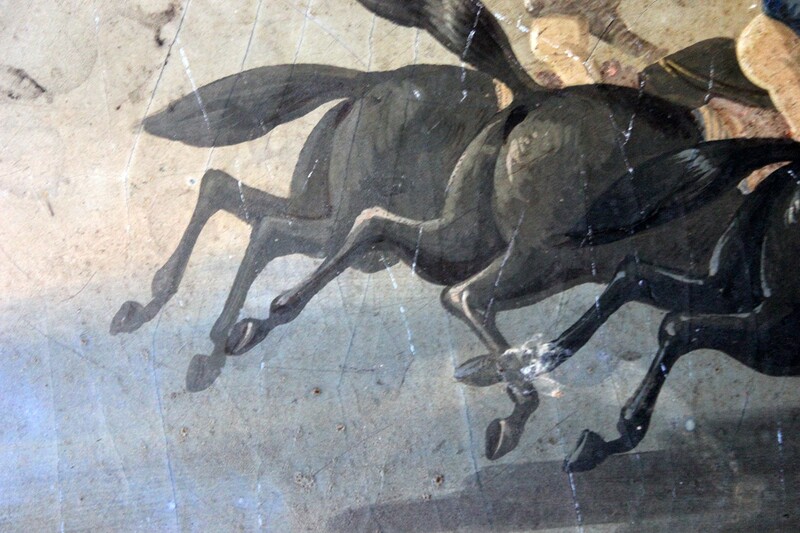 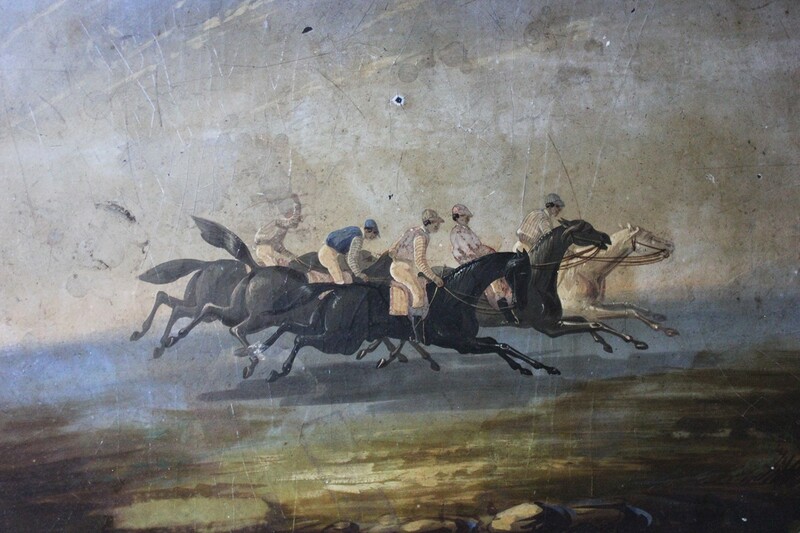 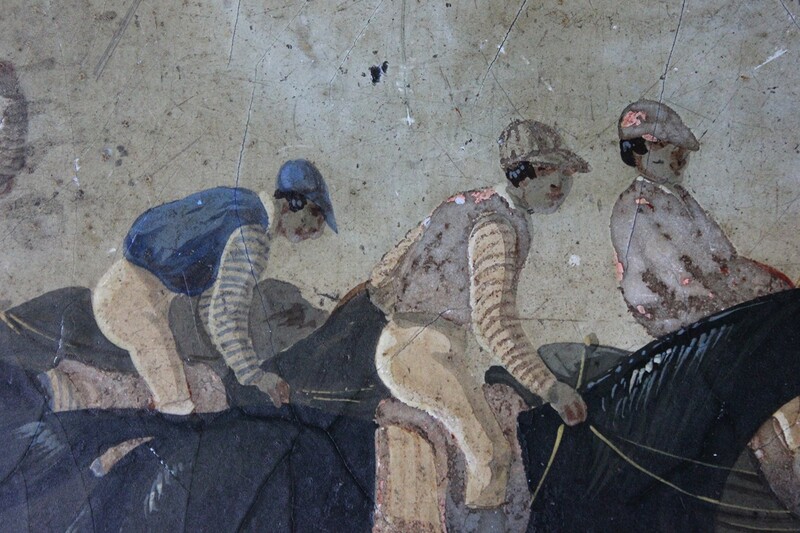 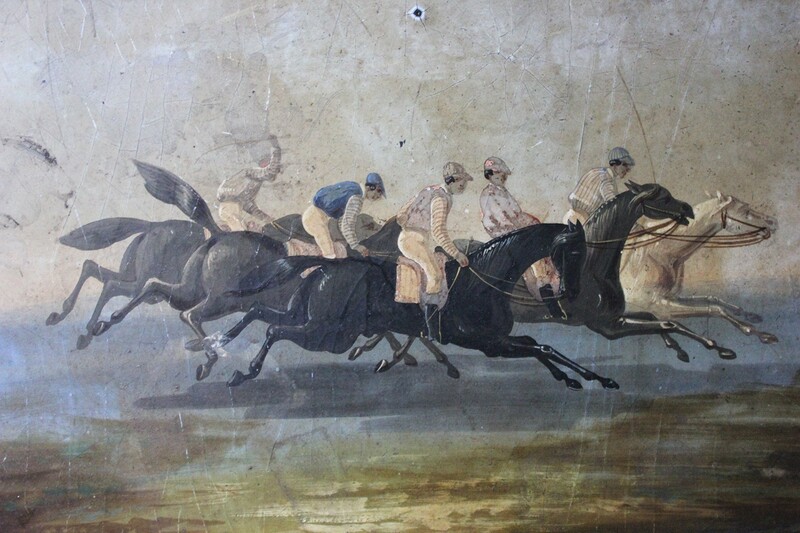 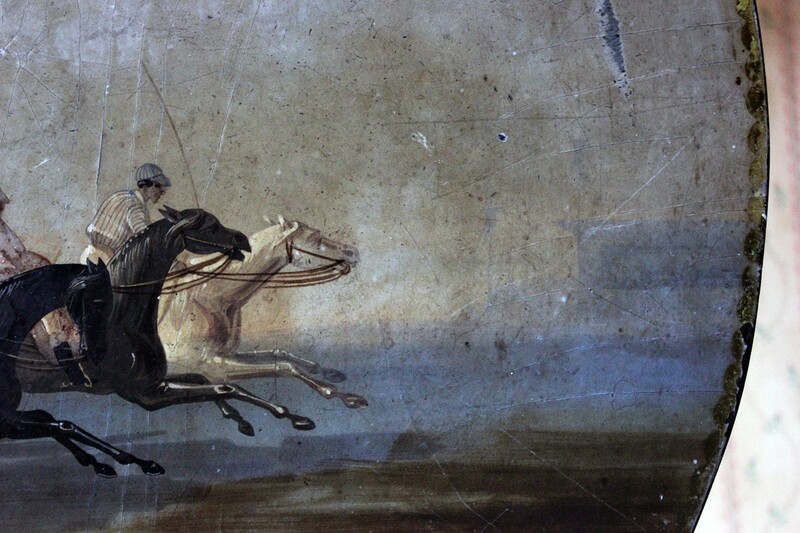 In France the first documented horse race was held in 1651 as the result of a wager between two noblemen. 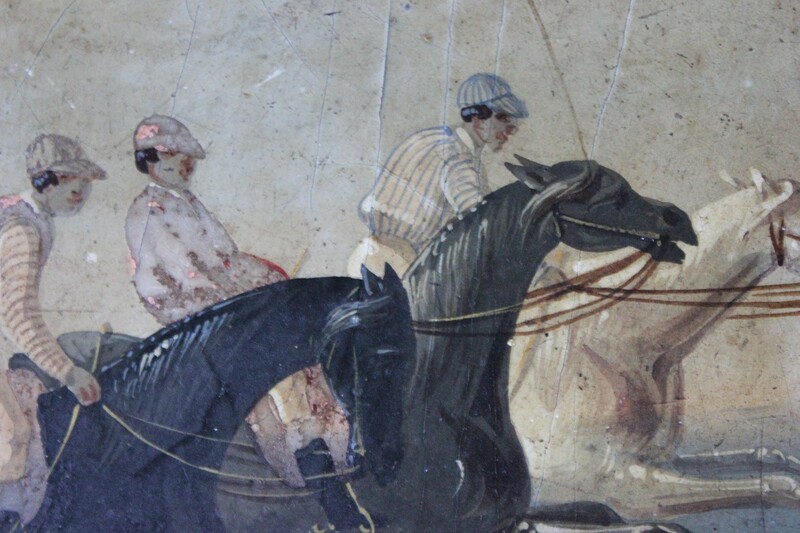 During the reign of Louis XIV (1643–1715), racing based on gambling was prevalent. 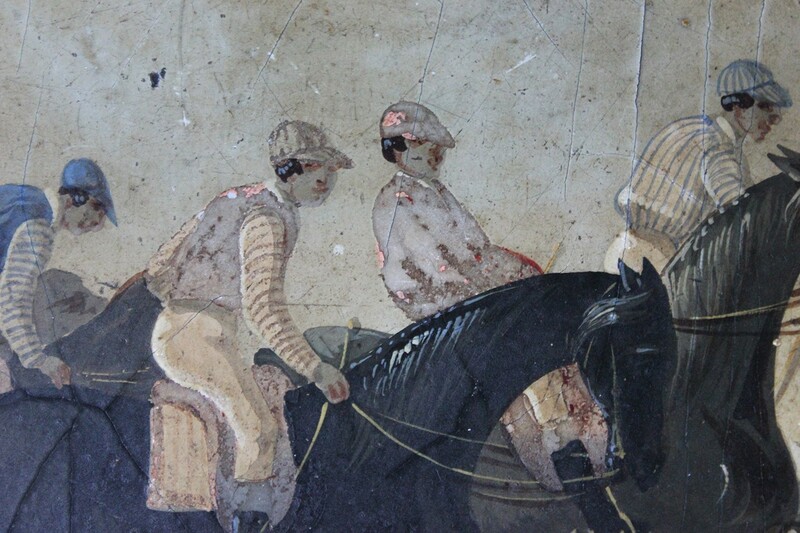 Louis XVI (reigned 1774–93) organised a jockey club and established rules of racing by royal decree that included requiring certificates of origin for horses and imposing extra weight on foreign horses During the 19th century, there was an organisation called the "Jockey-Club De Paris" that still exists today. 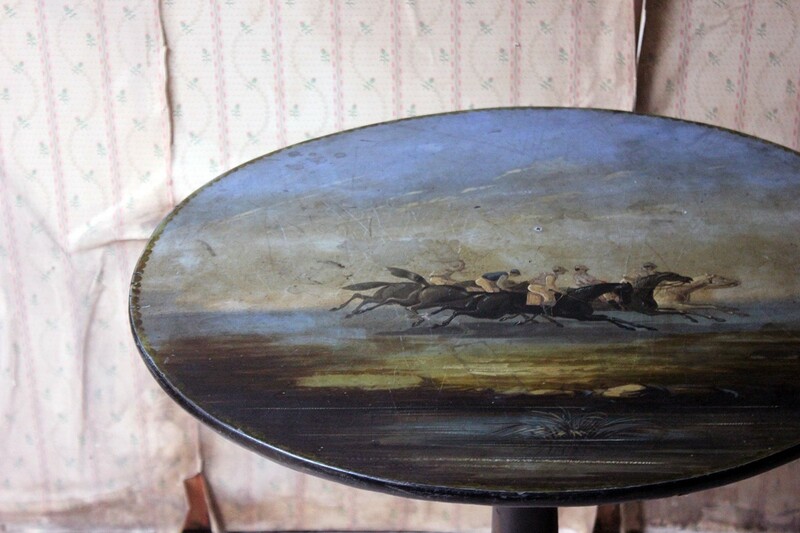 Almost certainly a unique table, perfect for the racing lover.